One of ESPN’s most versatile announcers and hardest working sports journalists for over 20 years, Holly Rowe, spoke at “Surviving on the Sidelines” on Tuesday (Feb. 5) at the Lubbock Country Club. Rowe is one of the lead reporters on ESPN Saturday Night Prime College Football, Big Monday College Basketball, Women’s Final Four, Women’s College World Series, NCAA Volleyball Indoor and Beach National Championships and the lead WNBA announce team. She also is a cancer survivor and an advocate for cancer research and prevention. Rowe shared her inspirational story about sports reporting, parenting and fighting cancer at “Surviving on the Sidelines” hosted by the Laura W. Bush Institute for Women’s Health at the Texas Tech University Health Sciences Center. She recently explained in an article in “Guideposts” how cancer changed her life. The upside to dealing with it publicly, she explains, is that people immediately started sending her prayers, notes and cards and that it creates its own curious bonds. In addition to believing in the power of prayer, Rowe also has faith in her treatments. She celebrated her last chemotherapy treatment in August 2018 by posting a thank you online to her doctors, nurses, friends, family, colleagues and the sports world. “I promise that every day I will pay my blessings forward to help others who are battling this disease,” Rowe said. The event helped provide funding for the Laura W. Bush Institute for Women’s Health mission and to provide funding for the organization’s research, education and outreach endeavors. The Laura W. Bush Institute for Women’s Health is dedicated to improving the lives of women and girls in Texas and across the nation by advancing multidisciplinary science in women’s health. Recognizing that differences matter, the institute promotes health, individually inspired, through scientific investigation, translation of science into practice and providing outreach that impacts the community for today and tomorrow. 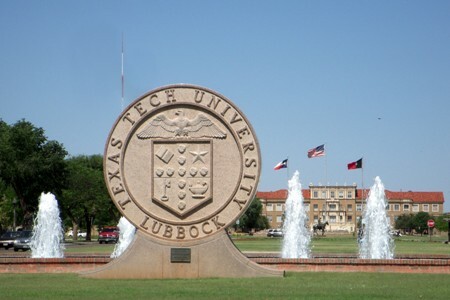 The Texas Tech University System is one of the top public university systems in Texas and the nation, consisting of four component institutions – Texas Tech University, Texas Tech University Health Sciences Center, Angelo State University and Texas Tech University Health Sciences Center El Paso – and operating at more than a dozen academic sites and centers. Headquartered in Lubbock, Texas, the Texas Tech University System has an annual operating budget of nearly $2 billion and approximately 19,000 employees focused on advancing higher education, health care, research and outreach. In 2015, the Texas Tech University System’s endowment exceeded $1.1 billion, total research expenditures were more than $215 million and total enrollment was approximately 50,000 students. Whether it’s contributing billions of dollars annually in economic impact or being the only system in Texas to house an academic institution, law school and health-related institution at the same location, the Texas Tech University System continues to prove that anything is possible.